Well, I’m really close to finishing NaNoWriMo. I didn’t expect I’d be able to do it this year and I’m glad I was wrong. Because this story it turning out pretty cool. In fact, yesterday, I spent a bunch of time brainstorming the construction of Yellow Jubilation, the tak’tak home city. Below is Ak and Pauline telling Gaina a little bit about it. “Sounds like an amazing place,” Gaina said. Anyway, I’ve also had a ton of success with my new mapping system. Below you can see the original versions I posted last week. And here you can see the updated version with the new coastlines. It actually looks semi-realistic now. I’ve done a rough outline on my process as to how I did this. I thought I’d have that ready to publish, but I want to do it again to make sure all the steps are correct. I found some great guides online at The Cartography Guild for GIMP and Photoshop, but Pixelmator, while similar, is actually an entirely different animal. And honestly using this technique gives me a LOT more control than any of their techniques did. (And I can’t stand GIMP. Drives me crazy). You’ll also notice that I took some time to redo the city markers (capitals are in dark orange, cities are in yellow and towns are in purple), add in some rivers and lakes and even expand a few forests. 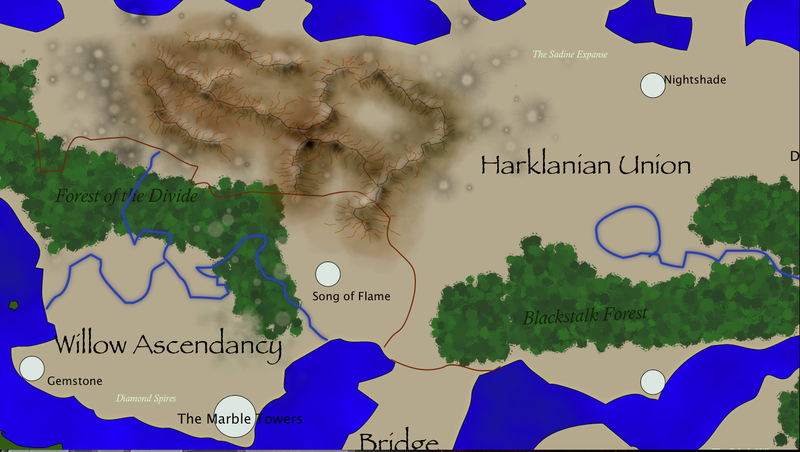 I’ve also added the infamous Borderlands between the Wilds and Folas, a dangerous area unclaimed by anyone. (I decided I had made Taylin far too civilized) By the way, the red dashed line is the path of the RCS Rose on her maiden voyage. Well, Season 4 premiered of My Little Pony: Friendship is Magic on Saturday morning. You know, I don’t know if I’ve ever watched Saturday morning cartoons before, even as a kid. It was a bit of an adventure since I don’t actually have real cable TV. So I got to watch an HD Livestream of the event that was kindly provided by a myriad of awesome people in the Brony community. Thoughts on the episode? Well, you should probably skip this part if you haven’t seen it yet. And if you haven’t seen it yet, what’s wrong with you. In fact, let me make it easy on you. Here’s the link! Now you have only yourself to blame. I adored it. I find the fact that Twilight is essentially the same character with the worrying tendencies, the same care for her friends, the same love of lore is all still there. She’s just grown up a little, such as the scene where she commands the Royal Guards to continue their search for Luna and Celestia. John de Lancie was wonderful as Discord. Simply brilliant. As stated in Equestria Daily’s Followup, Discord was doing an excellent job of teaching Twilight a lesson, though it’s only revealed at the very end of things. In fact, this is the most Q-style thing he’s ever done. Q was famous for trying to teach Picard and his crew “lessons” about their own internal struggles and conflicts, about the future and about what they could be. “All Good Things…” is probably the best example of this. I loved the lore revelations of Celestia’s banishment of Luna (and how much of a badass Nightmare Moon really was), the defeat of Discord (and why Discord was in such a strange pose when he was turned into stone) and the revelation of the source of the Elements of Harmony. But the best? The best thing was that they had to give up the Elements. Beyond anything else, this shows me the maturity and brilliance of the storytellers. For three seasons, the Elements of Harmony have been the “In Case of Break Glass.” They have been a very effective weapon against Nightmare Moon and Discord. I did enjoy that in A Royal Canterlot wedding, they didn’t make it to the Elements, but had Shining Armor and Cadance save the day instead. What does it mean? It means that they can’t just depend on the Elements to get them out of stick situations. The Elements could have easily become the go-to weapon. But by removing them (at least for the time being) it forces the Mane 6 to handle problems in new and different ways. It’s truly brilliant. Equestria Daily did a far better follow up than I could though. Complete with hysterical screenshots, including Discord in a French Maid’s outfit. Other things are going on. Such as my mom recovering from her knee replacement, me being sick, our continuing issues with Caitlyn’s discipline and other matters, but right now, I’m just too tired to go through the rest. However, I will mention that I finally got “Uncharted 2: Among Thieves.” I’m loving it. It’s great storytelling…especially considering Nathan Drake usually approaches things with “Seriously?” He’s got a great attitude. It’s just fantastic. What was even better was the letter that came with it, from a dear friend. Considering the day I had and the way she gently teased me about the whole My Little Pony thing, it was just perfect. That actually did more for my spirits than the game itself. That’s it for this week. And I’m only going to have one video this time…and of course, it’s the one above! 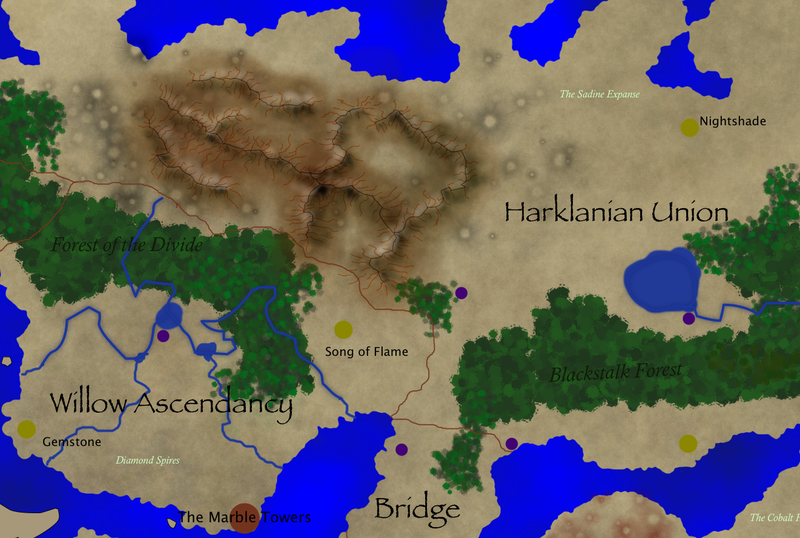 So some time ago, I created an awesome map for the world of Taylin in Pixelmator. I’m very happy with it, but more I look at it, the more I want to tweak it. The thing is, I want this to look like a “real” fantasy map, but I’m no artist. So I’ve had some serious issues learning about how to draw using a mouse in Pixelmator and to create mountain ranges, hills, forests and such. It’s been difficult and very frustrating in places, but I’m starting to slowly like the result. It’s complicated and I’m sure someone who knows what they’re doing could do it far more effectively and quicker, especially since I’m having to teach myself as I go. 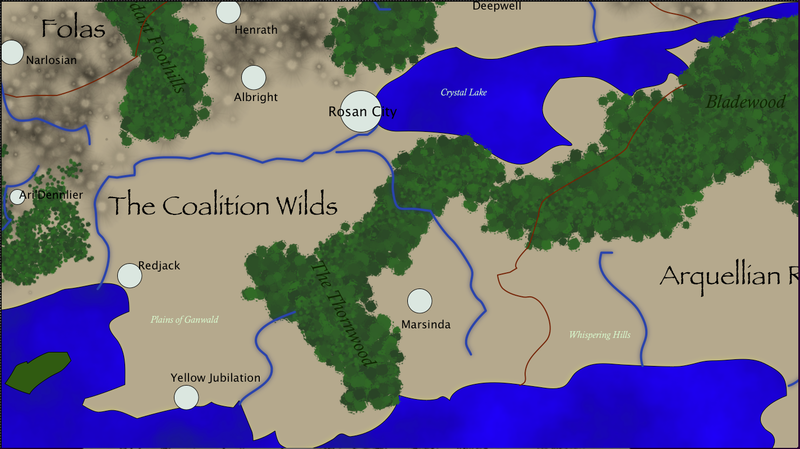 Here are two shots I have, one showing an enormous mountain range in the Harklanian Union, the other showing a large portion of the Coalition Wilds, including Rosan City. These are extremely rough drafts and I know I have a lot of work ahead of me (such as getting the coastlines right, adding hills, lakes and further system of rivers and jungles, but I thought you might be interested in a work in progress. I was a bit obsessive with these, especially since time would have been better spent writing, but the good thing that came of all of this is I finally determined the distance between different points in the world of Taylin. I didn’t add a scale to these particular pictures, but the distance between Yellow Jubilation and Rosan City is about 900 miles. It’s roughly 200 miles between Rosan City and Albright. That should give you a good estimate. Ironically, I had to go back to basic geometry to figure out this distance! I had to use the Pythagorean Theorem to determine the distance, using the pixels as a guide and then converting them to distance, but only after determining how long it would take the prototype airship RCS Rose to travel between these two points (about a day and a half). That’s how I got the 900 miles, since the Rose‘s cruising speed it about 25 MPH. I needed this, I really did. It means it’ll take about 4 and a half days to get to their next destination, Arquellia, which is almost directly west of Yellow Jubilation at a distance of about 2600 miles. And to give you a reference, the continental US is roughly 3000 miles. Yeah, this place is freaking huge. The other bit of writing news? I’m happy to say I’m not only on track for NaNoWriMo, but I’m actually quite a bit ahead. Not like you crazy people who have actually finished (though who am I to judge, since I was one of those crazy people in my first 2 years of NaNoWriMo). 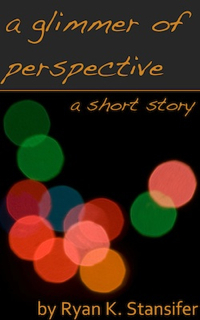 I’ve also started sporadic work on editing another story I’m going to put up on Kindle. In addition, a very understanding friend is taking a look at “Soul of the Scribe” soon and I’m praying she can give me something amazing that will unlock that story, allowing it to transform from a novella into a full novel. Well, the other big thing is discipline. While I’m trying to use discipline in my writing, I’m dealing with the other kind with Caitlyn. She has had some serious defiance issues lately. Hitting me, saying no, yelling while we’re talking…all sorts of things. Now for the parents out there, you know that this is pretty typical of this age…and you know that it also has to stop. The sooner, the better. So after Laura and I attended a great Parenting Workshop on Discipline Saturday, we’re going to try some new house rules. It’s going to be very hard over the next few weeks. But thankfully, we’re in it together. And I feel that Laura and I are on the same page now. And that feels great. I haven’t had a lot of time to play lately. Due to things that have happened during the day, I’ve been forced to do my entire NaNoWriMo after Caitlyn goes to bed around 7-8PM. Thankfully, my focus has been strong enough to let me knock it out in roughly an hour. In fact, I’ve done this so often I feel I should be working more today, but after 2100 words, I’ve decided it’s okay. After all, if I totally burn out, it doesn’t help anyone. However, I did finally get my poor neglected mage Chyria up to 90 last night. I can’t wait to go treasure hunting on the Timeless Isle again. I do LOVE the chests. Season 4 premiers this Saturday. Wow, I haven’t cared about Saturday morning cartoons in a long time. Of course, because we don’t have real TV, we’ll have to wait to see it directly online. However, we did do one other Pony thing this week. Caitlyn and I left Laura and Tali at home and headed up to Downtown Disney to the Build-A-Bear and we made some ponies! 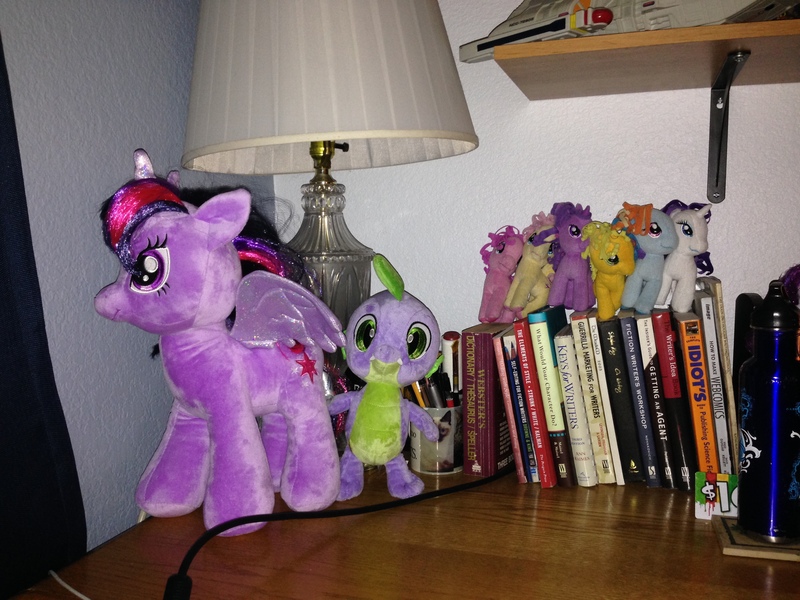 Caitlyn wanted Rainbow Dash for herself, I picked out Twilight Sparkle for myself and we got Spike for Baby Tali. Of course, I let Caitlyn play with all three occasionally, but the best part is that Twilight Sparkle, who is a librarian in the show, usually sits adopt my highest shelf over my writing desk. This seems particularly fitting to me. I think that’s it for this week folks. There are a few things I want to do with -rks, but right now I want to focus on my writing. I’m curious though, how many of you read my blog through email rather than visiting the blog itself? If that’s the cast, please leave a comment at the end. I keep looking at my page views and I wonder. Until then, let’s play with some Blizzard Stuff and some Pony stuff! First of all…the freaking epic “Heroes of the Storm” Cinematic. Seriously, I didn’t care about this game in the slightest until I saw this. Next, we have the announcement trailer for “Warlords of Draenor.” I’m still not entirely sure what I think about this. There are some awesome improvements coming with it…but the story is just…well, it hadn’t grabbed me. And finally, we have the PMV “Ascension” which is just damn cool. “TheAcelps” just does freaking EPIC animations. That’s it for this week now folks. I’m going to take the rest of the night off. It’s been a long day. PS I almost posted this as a PAGE instead of a POST. Whoops. I’m taking a serious look at my life right now, getting some extra time with Tali and with Caitlyn and with Laura Stansifer. And I’ve realized that I’m not satisfied with what I’m doing. I need something more. Maybe a career change. I don’t really know. But I do know that I’m good at one thing. And that’s writing. So maybe, it’s time to get serious about that. It’s time to write. For real. No more hobby, no more playing around. No more little projects here and there. I want to be the next J.K. Rowling, Patrick Rothfuss or Brandon Sanderson. And you know what? I’ve been told my entire life that I’m a good writer. In my college writing class, I was told by numerous people that I shouldn’t be bothering with the class and should be getting published. That was something like ten years ago. I’ve gotten messages from Blizzard Creative Development saying about how powerful “Ashes of Stormwind” was. I’ve won Grand Prize in a community contest, with the judges arguing over every entry except mine because I was unquestionably the best there. It’s not easy. Especially with a nearly 3-year old and a newborn. But right now, I have a unique chance to get serious. So it’s about bloody time I focused on making that happen. So, yeah. Tali’s about 10 days old now. Neither Laura nor I have gotten a lot of sleep. Not really surprising having a newborn, right, especially one that sleeps in the same room. However, I can’t blame Tali for all of it. I’ve taken the opportunity lately to do a little extra gaming when Laura, Caitlyn and Tali are sleeping. In fact, I went through the entire Siege of Orgimmar LFR raid in one week ending on Thursday night so I wouldn’t get any spoilers when we watched the Blizzcon 2013 Virtual Ticket. I wasn’t sure what to expect, but as an Alliance player, I’m happy. I feel like we finally got our due…somewhat. There are still wrongs to be righted, but we’re getting there. Let’s see…I’m still plugging away through NaNoWriMo. In fact, I added a new widget over to the left where you can see my current progress. I hope. Assuming that’s working right. I’ll check it after posting this one. I’m still a little bit behind, but we’re talking maybe a few hundred words. I pushed myself this week to do 2000 words every day to catch up from missing the first two days of NaNoWriMo, with me being in the hospital caring for our newborn and everything. Sorry, NaNo, but newborns take priority. As for the story I’m writing for NaNo, I don’t really have a title yet, though on the NaNoWriMo site, it’s listed as “The Acquisition of Shadows” but I can tell you for sure that’s not going to be the final name. At the moment, I’m building up the world since it takes place 3 years from the original “Soul of the Scribe” and 2 years after “Corridors.” What I’m really excited about is getting my characters out on a grand quest that will take them across the world. I’ve worked endlessly on the maps for Taylin and I can’t wait to finally visit some of these nations and kingdoms. It’s going to be sweet. I’m also happy to share some pictures of Talissa! I’ll be adding more under the “Daddy” section to your right later. Right now, I still have a lot left to do for the night and I’m barely plugging along as it is. I did take the time to fix the cover art for Glimmer on the left hand sidebar. Hopefully it looks better now. It’s been driving me crazy for weeks. So instead of a Pony thing, I think I’ll just have you enjoy a few pictures of Talissa J. Stansifer instead. Cute kid eh? Apparently we’re good at making cute kids. Don’t ask me how. I really don’t know. I’m sure I’ll have more for you next week. Until then! 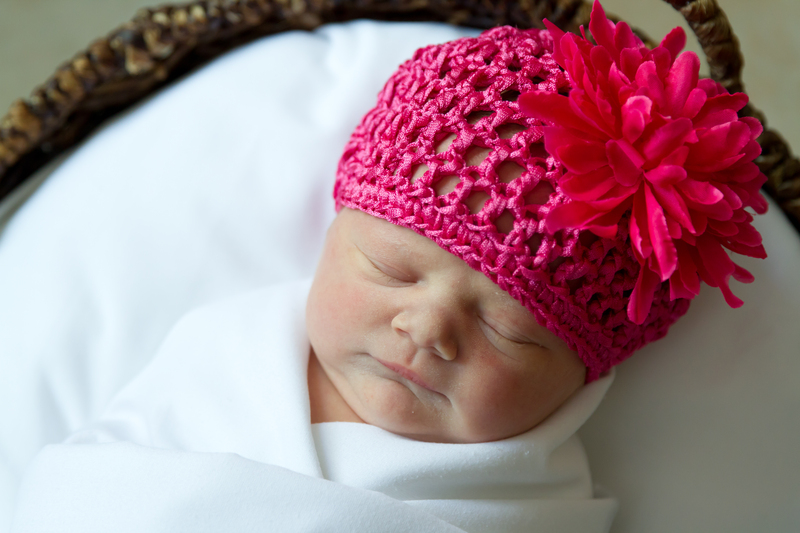 Talissa Jenevieve Stansifer was born October 31, 2013 at 4:06PM. 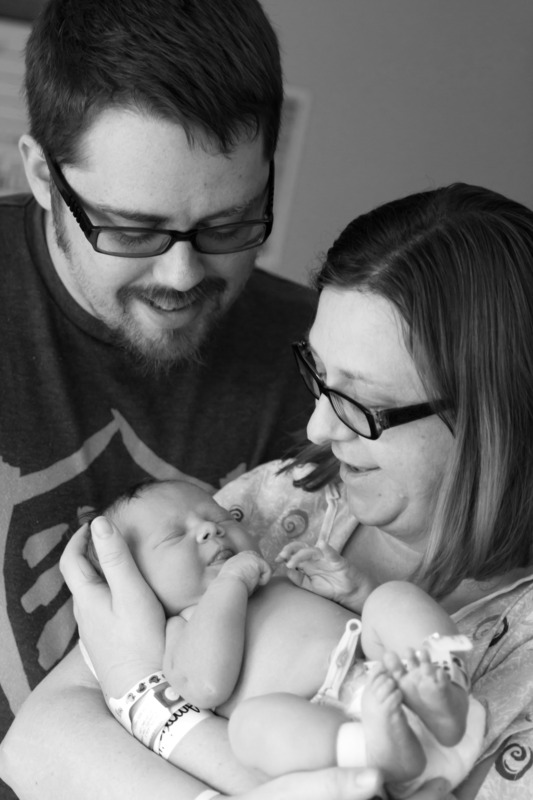 She was 19″ and 8 pounds 3.4 ounces. 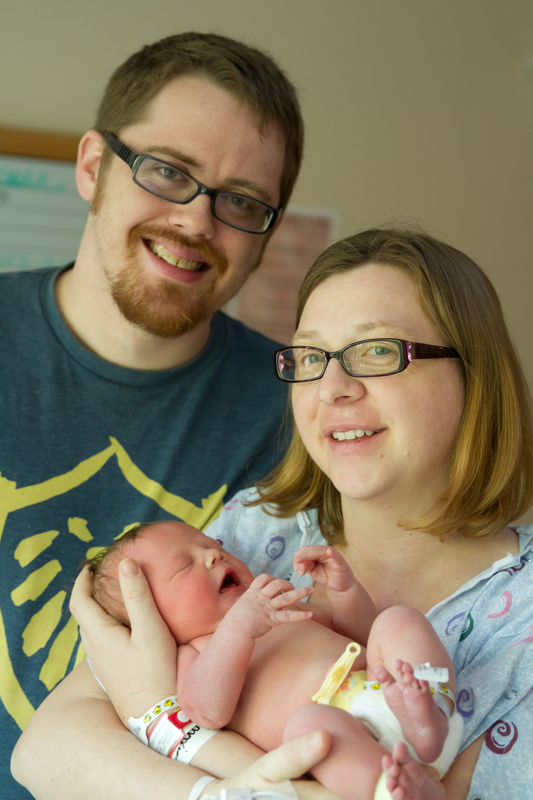 We’re already home and both baby and mother are doing fine. So’s daddy for that matter. Caitlyn seems fascinated by this little girl we brought home and has done pretty well so far, but Caitlyn has not been doing well with me. Other news. I managed to finish “In the Sun Eagle’s Wake” and just a few days before the birth. Glad to have it done since NaNoWriMo is this month. And while I did skip the first few days, I’m forcing myself to do NaNoWriMo anyway. Because I need to. While it can be stressful, it’s the good kind of stress that makes me feel like I’m accomplishing something, like working out. I’m still behind, but since I’m picking up 3 years after the events in “Soul of the Scribe” I have a fairly good handle as to the characters. Even better, the story is starting to come together as I work. At the moment, that’s all I have to report. I’ll have pictures and other awesome stuff up later.